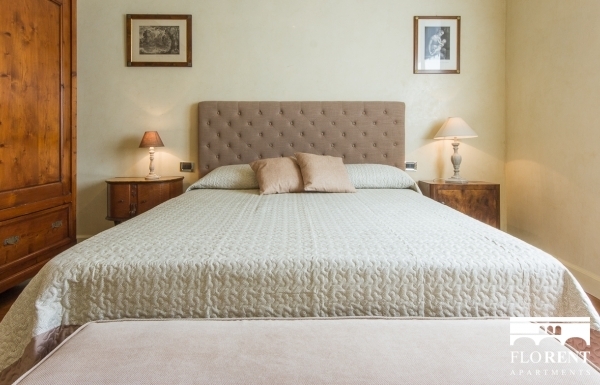 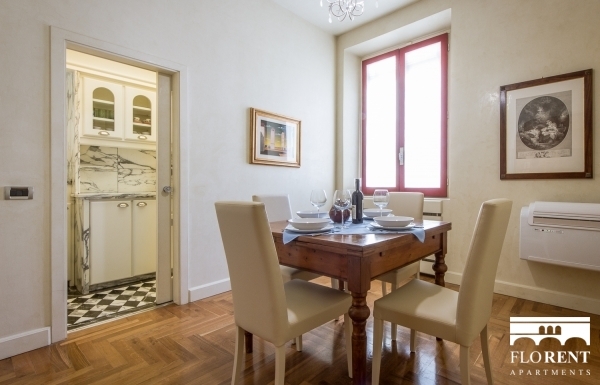 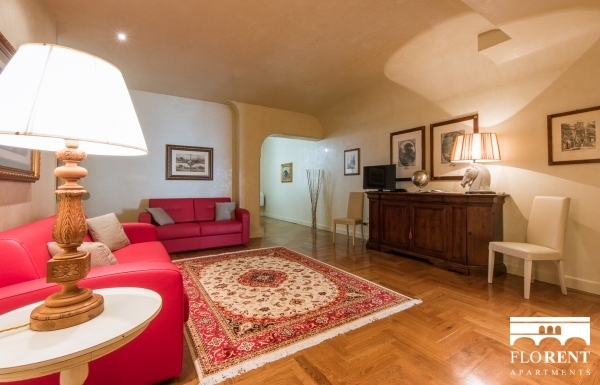 Located a stone’s throw away from "Ponte Vecchio”, the medieval bridge spanning the river Arno in Florence, this elegant apartment situated right in the heart of the historical centre has everything you need for your stay in one of the most beautiful cities in Italy. 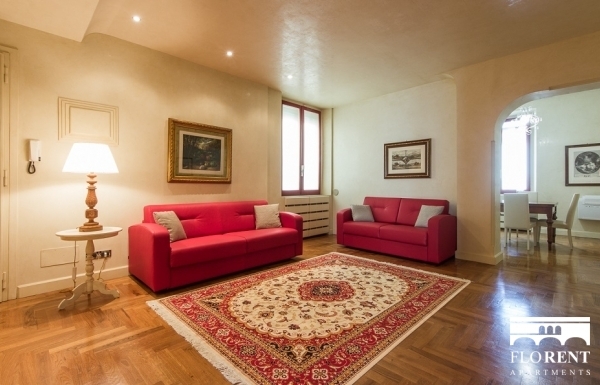 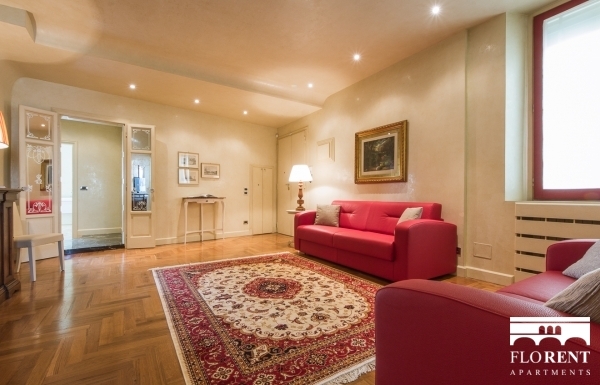 This charming 70m2 apartment is located on the 3rd floor with an elevator. 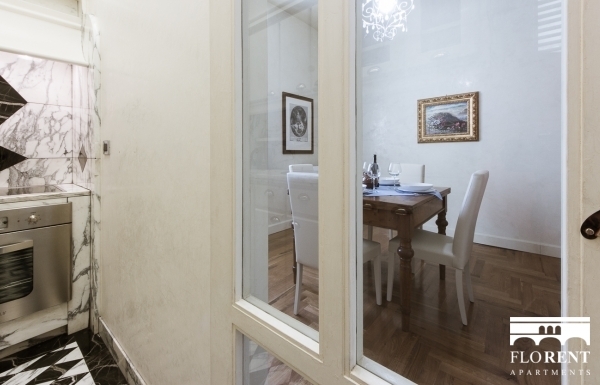 Upon entering the apartment, you will be greeted warmly by a lovely living room situation that lends itself through to the pleasant dining area. 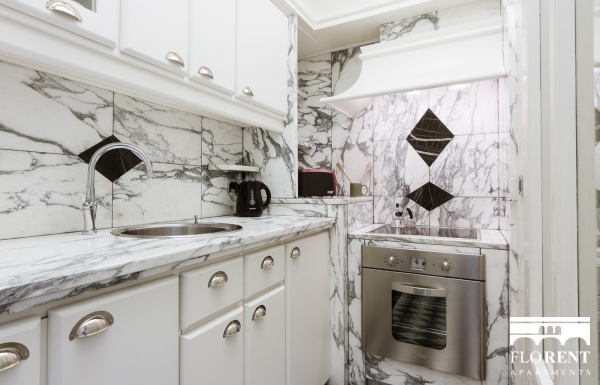 A cute french style door opens itself up to the adorable black and white marble kitchen, complete with all the amenities to test your Italian cooking skills during your stay. 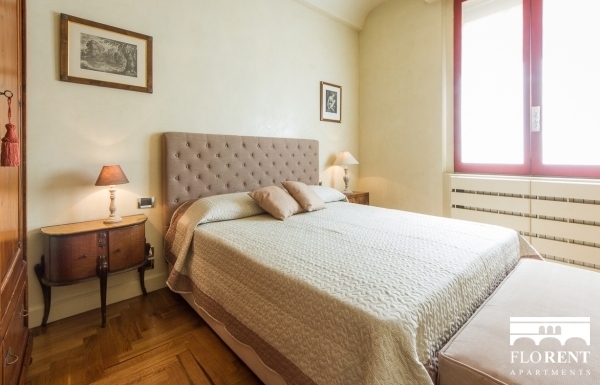 The double bedroom is bright with a large window, decorated in a subtle Italian style to help you feel immediately at ease. 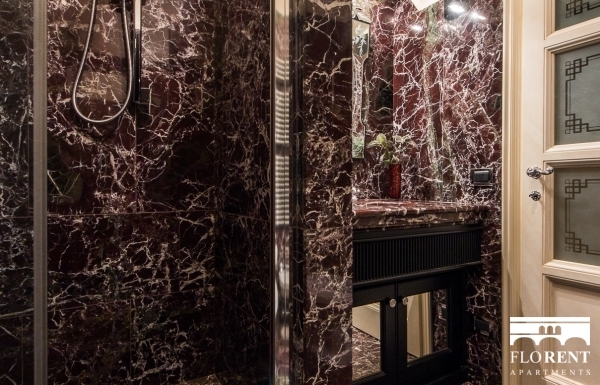 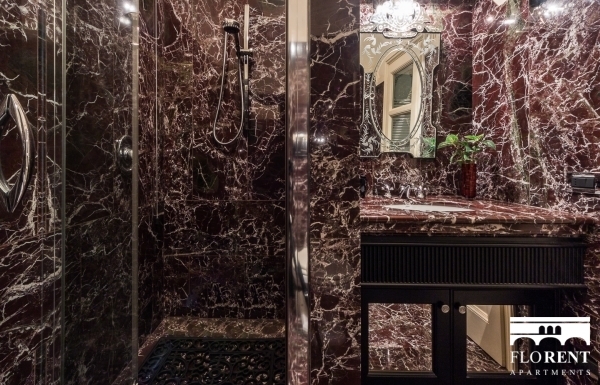 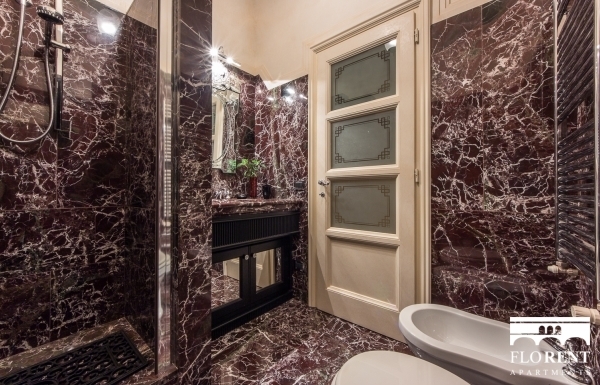 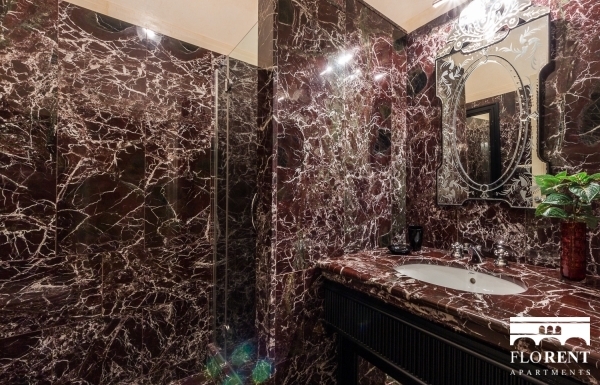 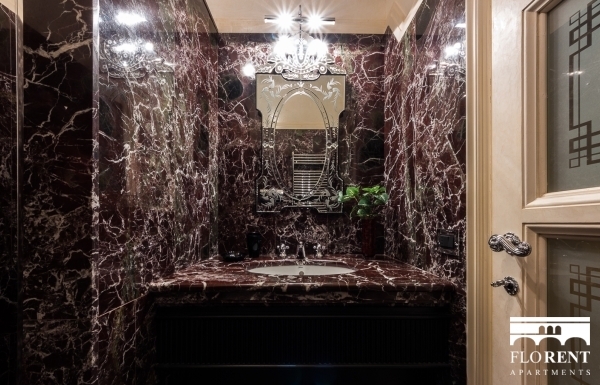 The marvellous bathroom has a truly dramatic consequence with it’s gorgeous marble walls and a touch of modernity with the designer mirror and rain shower. 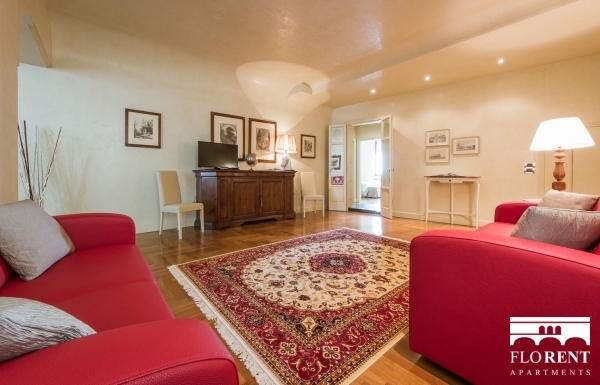 For extra guests, there is a comfortable double sofa bed available in the living room area. 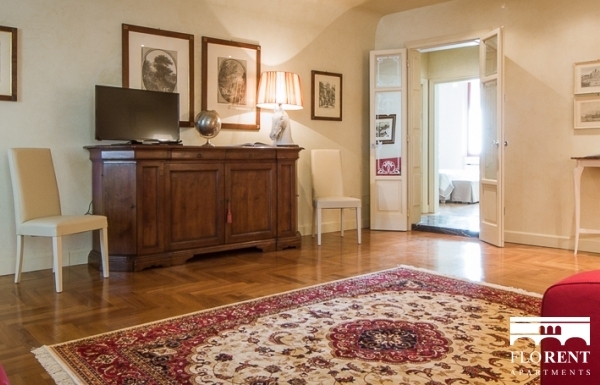 You couldn’t ask for a better location for your stay in Florence, where all the main sites of attraction are all within walking distance. 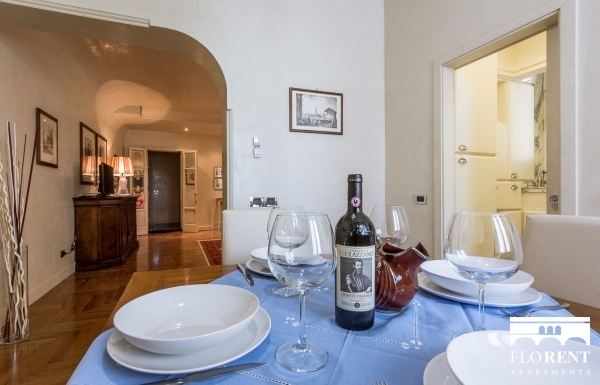 Everything you need is on your doorstep, from designer stores, roof top bars, marvellous restaurants, and of course wonderfully quaint Italian food and wine shops. 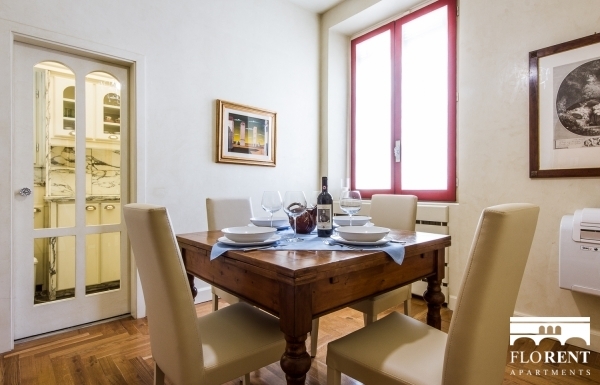 The famous Duomo is only 10 minutes away by foot and if you would like to discover a taste of a more the local artisanal side of Florence, all you need to do is cross the Ponte Vecchio towards Santo Spirito, where you will find plenty of local bars, cafes, restaurants, ancient ateliers and galleries. 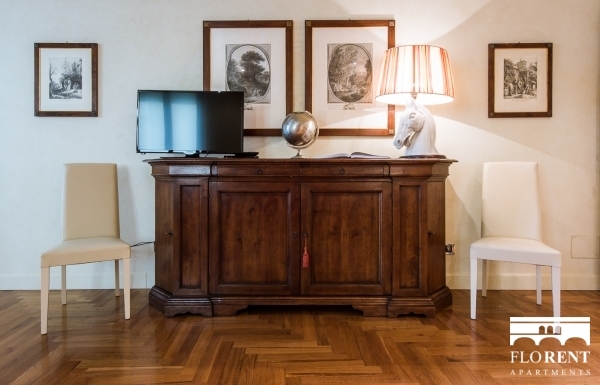 On your way to Santo Spirito, you may also like to make a quick stop at the famous Palazzo Pitti, where you can enter the enchanted Boboli gardens and be blown away by the magical views of Florence.